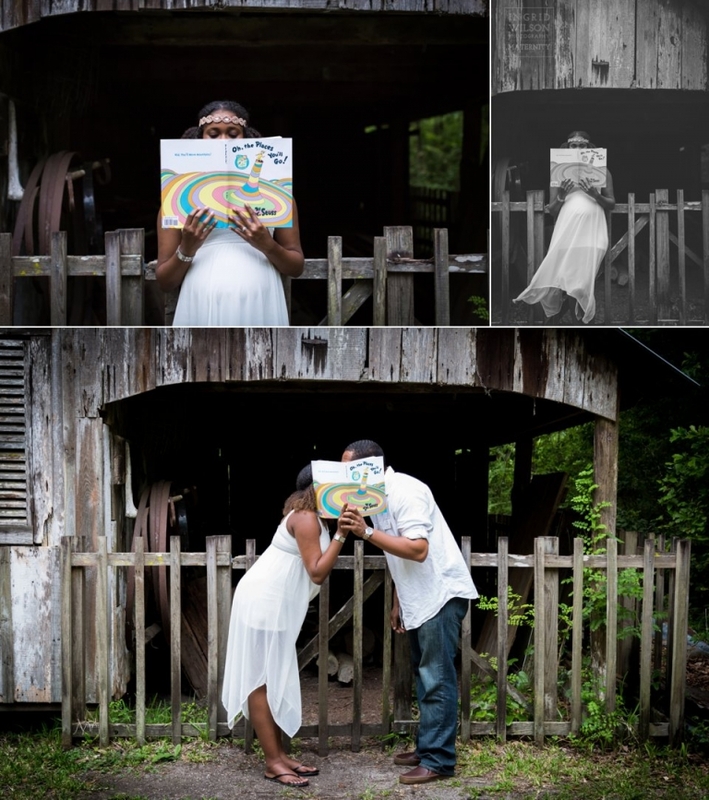 I absolutely love when a couple is so excited about meeting their first little bundle that it just oozes out of them. 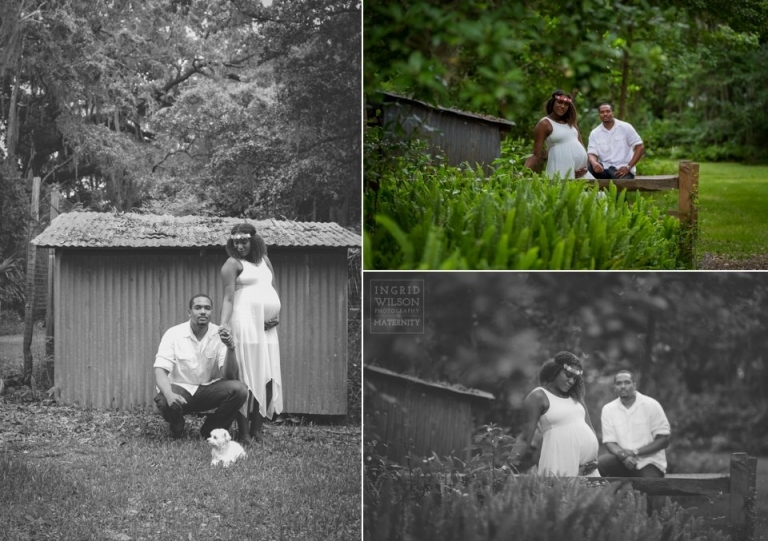 I love then they come to their maternity session with their own ideas and props and pose ideas. I love it when it is all about them and this special time in their lives. And I especially love being invited into that. Clearly this couple is strikingly beautiful. Both of them. 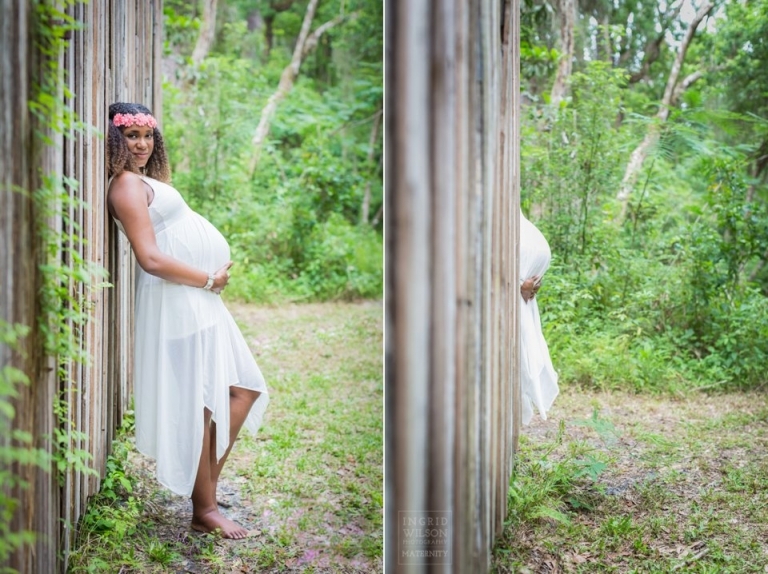 She may not have been able to squeeze into her regular shoes, but she rocks “barefoot and pregnant”, doesn’t she? I loved that unplanned element of this shoot. So natural, so honest. I’ll admit that when they asked if they could bring their first “fur” baby to capture some family pictures I was a little nervous. But this little guy… so precious and fun and photogenic too…just like his parents. It was at this point in the session that I had to literally say “Ok. I have to stop. Because I just couldn’t stop photographing her. She was a true natural. It was a cloudy, gloomy evening but I love the mood that it created for these too- so soft and cozy. A huge thank you and congratulations to you both for allowing me in to this time of your lives.